NEW YORK, NY, Oct 25, 2016 – Reflecting its growth and global presence across a wide range of market sectors, award-winning architecture and interior design firm CetraRuddy has announced several promotions of key team members. Each has played an integral part in the firm’s design excellence and expertise in project delivery. Two team members, Branko Potocnik, NCIDQ, and Kevin Lee, have been named as associate principals. Lindsey Doren, RA, LEED AP, and Maria Clironomos, LEED AP, have been named Associates of the firm. These promotions acknowledge the four professionals’ roles as emerging leaders in the firm who successfully embrace its values, encourage team building and the mentoring of others in their areas of expertise, and consistently collaborate with clients in a meaningful way. 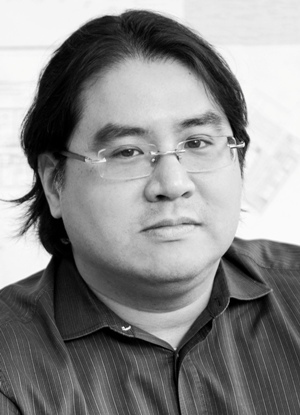 With over 15 years of experience designing complex and highly refined residential and mixed-use buildings, Kevin Lee is known as a talented, resourceful designer and zoning expert with exceptional problem-solving skills. Lee’s innovative design solutions are grounded in an analytic approach to program, typology, context and integration of technology. He is committed to context and authenticity while creating buildings and spaces that inspire. His expertise in all phases of a project, from zoning, concept design, planning and construction detailing make him an important collaborator with co-founding principal, John Cetra, and other members of the CetraRuddy team. Kevin has played meaningful roles in CetraRuddy residential and hospitality projects including the renovation and conversion of Walker Tower, and two new residential towers in Manhattan and Brooklyn. In his expanded role as associate principal at CetraRuddy, Kevin joins the 10-member Executive Committee, which provides leadership strategy and direction for the 100-person firm. Prior to joining CetraRuddy in 2001, Kevin Lee served as a senior architect at Richard Meier & Partners Architects. Lee has a Master of Architecture at Columbia University’s School of Architecture with prior studies at University of California, Berkeley’s College of Letters and Science. 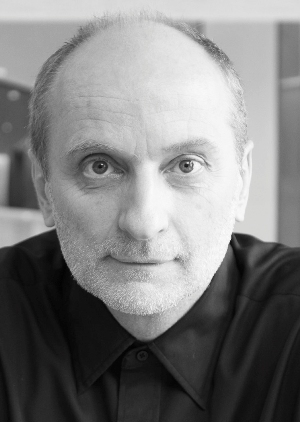 With more than 25 years of international experience, Branko Potocnik is a Senior Interior Architect and has been a core member of the CetraRuddy design team for over a decade. Mr. Potocnik has extensive experience with high-concept hospitality projects, including hotels, restaurants, spas and retail. He also brings his hospitality expertise and viewpoint to CetraRuddy’s residential practice. His extraordinary design talent and insistence on excellence are evident in all phases of his projects; Branko expands the boundaries of project briefs and creates environments based on form and space that integrate with an innovative use materials. Mr. Potocnik collaborates closely with firm co-founder Nancy J. Ruddy on the advancement of engaging hospitality projects. With both an educational and professional background in Belgrade, Serbia, followed by seven years practicing in Toronto, Canada, Branko brings a global perspective that animates the sensitivity to projects based in authenticity and design integrity. At CetraRuddy, Mr. Potocnik has played key roles in projects in England, Saudi Arabia and throughout the United States. His hospitality projects include innovative and market-making restaurants such as SushiSamba and Duck&Waffle in London, the Galleria Hotel and Restaurants in Jeddah, Saudi Arabia, numerous restaurants in Miami and projects for BLT Steak and Marriott in New York City. In addition to his hospitality work, Branko has also been a key member of project teams for CetraRuddy’s cultural projects, including the award-winning Lincoln Square Synagogue in Manhattan. Prior to joining CetraRuddy, Potocnik had his own practice in Belgrade, and has worked in Toronto and at MR Architecture + Décor in Manhattan. He has a Bachelor of Interior Architecture in the Faculty of Applied Arts and Design from the University of Arts in Belgrade. 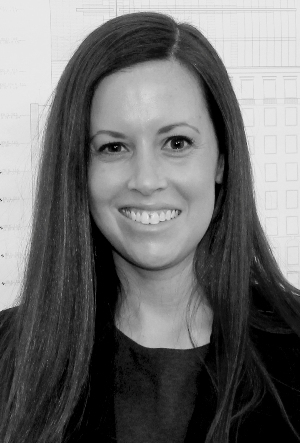 An accomplished project architect and project manager and member of CetraRuddy’s BIM Advisory Committee, Lindsey Doren has led highly complex, large-scale projects. Known for her commitment to systems integration, project constructability and technical excellence, she is also respected for her ability to ensure that design integrity is maintained throughout the design and construction process. Doren is a mature resource for the firm in areas such as zoning, building codes, accessibility and multi-family residential standards. 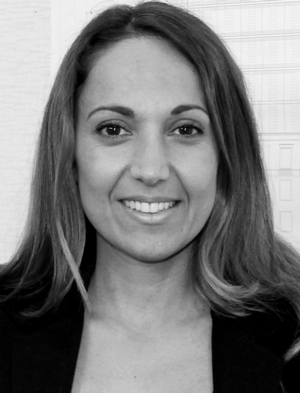 Since joining the CetraRuddy team over three years ago, she has seen the completion of a number of major residential projects including a 298-unit, two-building residential complex in Manhattan’s Hell’s Kitchen neighborhood, a residential conversion in midtown Manhattan, and an adaptive reuse project of over 470,000 square feet in lower Manhattan. She has also played a key role on a 760,000-square-foot, 720-unit multi-family residential building in Brooklyn. Doren is a registered architect and a graduate of the Syracuse University School of Architecture, where she earned a Bachelor of Architecture degree. She is also an active participant in the women in architecture committee for the AIA NY Chapter. With 15 years of experience as a professional in the architectural field, Maria Clironomos is an accomplished designer and project manager. Ms. Clironomos’s expertise and technical acumen extends across a broad spectrum of typologies, from residential and commercial to municipal, civic and infrastructure works. Her experience in all phases of a project from zoning to planning and construction detailing affords her the ability to integrate complex design elements into coherent and rational solutions. She is well respected within the firm for her skill at interfacing and coordinating with clients, consultants, contractors and other project team members, and she serves as a strong mentor to other members of her design teams. Since joining CetraRuddy, Clironomos’s work has included major residential projects, most recently a 250-unit building in Brooklyn, a 298-unit complex in Hell’s Kitchen in Manhattan, and a large Upper West Side multifamily conversion, also in Manhattan. Maria serves on CR’s BIM Advisory Committee. Prior to joining CetraRuddy, she worked with Dattner Architects and at Thornton Tomasetti. Clironomos studied at the New York Institute of Technology, where she earned a Bachelor of Architecture degree. For more information and images, please contact Chris Sullivan, (914) 462-2096. Established in 1987, CetraRuddy is an international award-winning architecture, planning and interior design firm driven by design excellence and the desire to create one-of-a-kind architectural experiences. Intellectually crafted projects are developed with a unique design sensitivity, resourcefulness and commitment to client objectives. 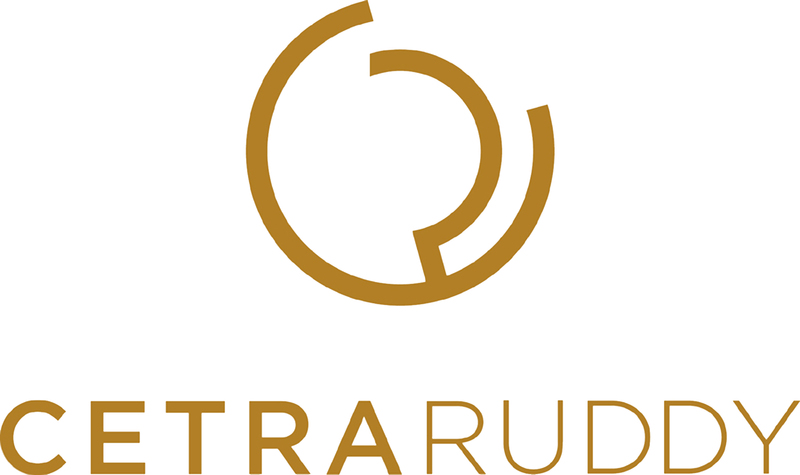 Throughout the United States and abroad, CetraRuddy applies a problem-solving approach to projects across various sectors including commercial, residential, hospitality, corporate workplace, education and cultural. Seven principals and a staff of 105 talented professionals contribute their sophisticated understanding of programming, planning, technology and construction to each of the firm’s projects, developing technically excellent and innovative designs and providing an unparalleled level of service. For more information, visit http://www.cetraruddy.com. This entry was posted in CAD-CAM-CAE on October 25, 2016 by Sharmila Guha.